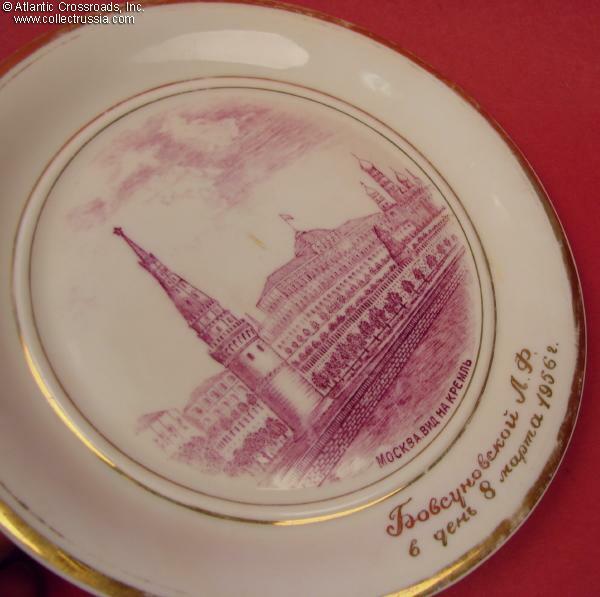 Porcelain Plate "Moscow, View of the Kremlin", Korosten Porcelain Factory, 1955-56 manufacture. Measures 6 1/8" in diameter. 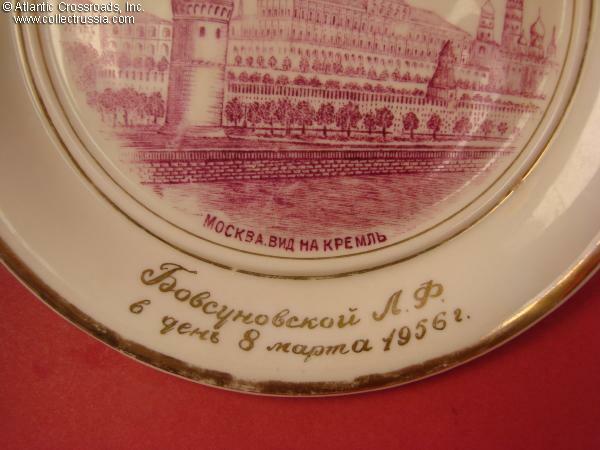 Inscribed "To L. F. Bovsunovskaya on the Day of 8 March 1956" (International Women's Day). 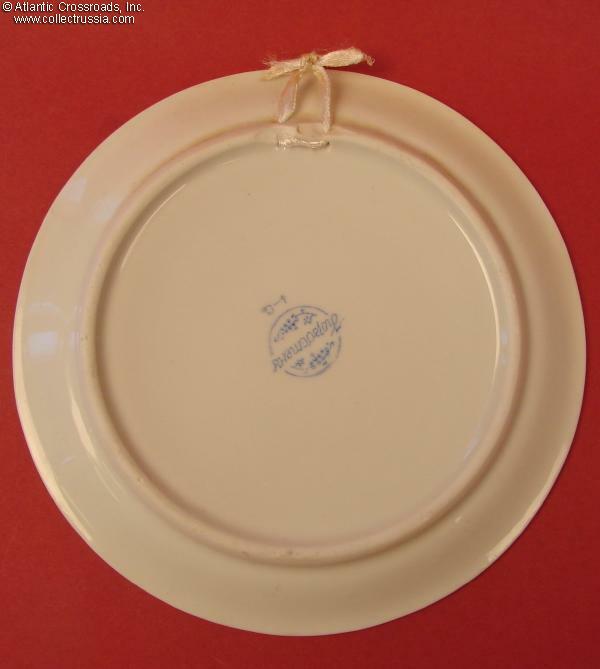 The reverse has the Korosten Porcelain Factory trademark of 1955-1962 type /fig. 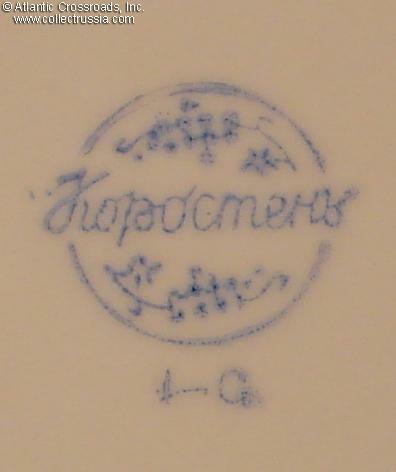 #382 in Volume One of "Marks on Soviet Porcelain, Faience, and Majolica, 1917-1991 by Nasonova et al"/ including its "1st Sort mark", indicating that the plate was of the highest quality. Very good condition. While the gold trim shows a little wear, it is not detracting. 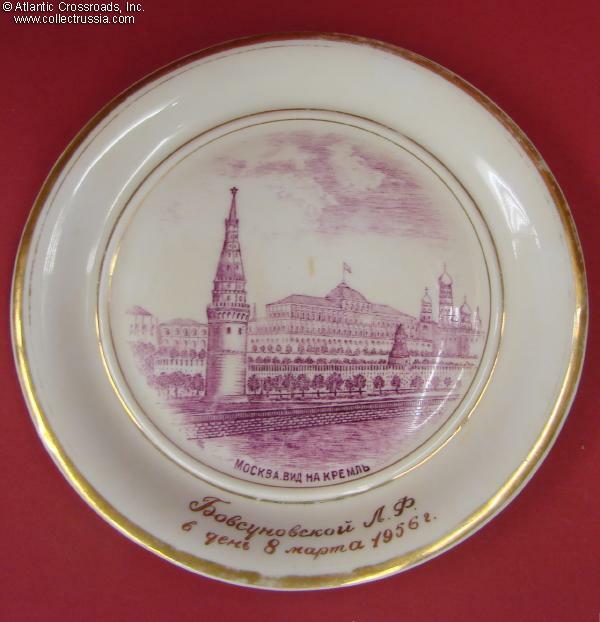 The image of the Kremlin and the Moscow River is distinct and well done. 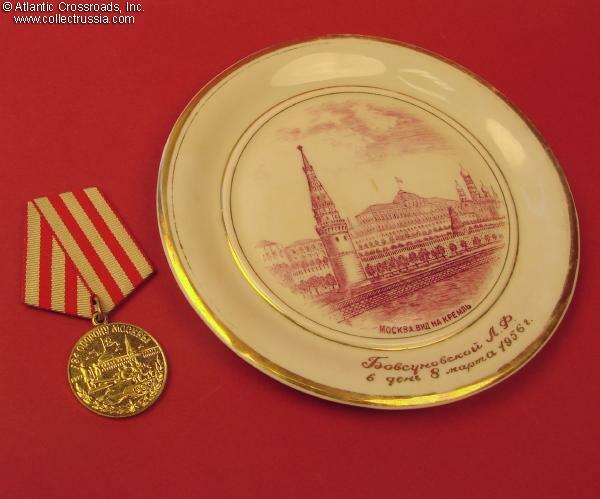 The hand-done, specially inscribed dedication in gold is very bright and shows no wear. Please note, medal in our photo is for size reference.